After some fierce competition — including a first-round heartbreaker storming back from the dead! — Jonathan Stroud’s The Ring of Solomon won School Library Journal’s Battle of the Kids’ Books. To get the inside scoop, we caught up with Battle Commentator Jonathan Hunt. First things first: Did the best man win? I certainly think you can make a case that it did; I’m a huge Bartimaeus fan, and I thought this one was just as good as the previous ones. I probably would have opted for A Conspiracy of Kings, personally, and I’m on record as being a big fan of Keeper, too. So it’s hard for me to be objective. Which book did you vote for in the undead round? I voted for A Conspiracy of Kings. I was tempted by Sugar Changed the World, but didn’t think it would be a serious contender to come back from the dead. Whose true colors came out over the course of the contest? What were those colors? Everybody showed just how nice they are — almost too nice. I wouldn’t mind seeing some old-fashioned cattiness. We don’t fight about specific books as much as we fight about issues of balance. Do we have too many books in one genre? Do we skew very old or very young? Do we have enough under-recognized genres such as poetry, nonfiction, or graphic novels? Do we have too many books from one publisher? What can you spill about next year’s contenders? Judges? We typically don’t start discussing possibilities until the fall, but I can’t imagine that we won’t be seriously talking about such spring titles as Chime by Franny Billingsley, Okay for Now by Gary Schmidt, and Amelia Lost by Candace Fleming. SLJ recruits and assigns judges. I keep waiting for them to run out of big, impressive names — but it hasn’t happened yet. 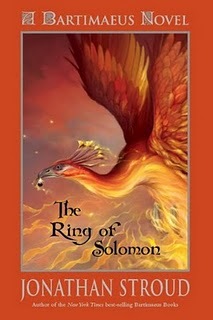 The Ring of Solomon…because my twelve-year old self is a bully! >Okay for Now tops my list right now too! 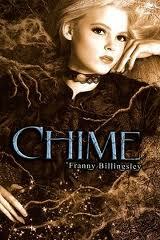 Picked up Chime from the library and hope it's as good as it's publicity! >cute post. thanks for sharing..